"In their head to head meetings, Kerber has made very little impression on Serena's serve, with Williams winning 69.1% of service points and holding 86.4% of the time. While Serena has been unable to make a ton of impact on return (breaking Kerber just 31.2%) it has been enough." 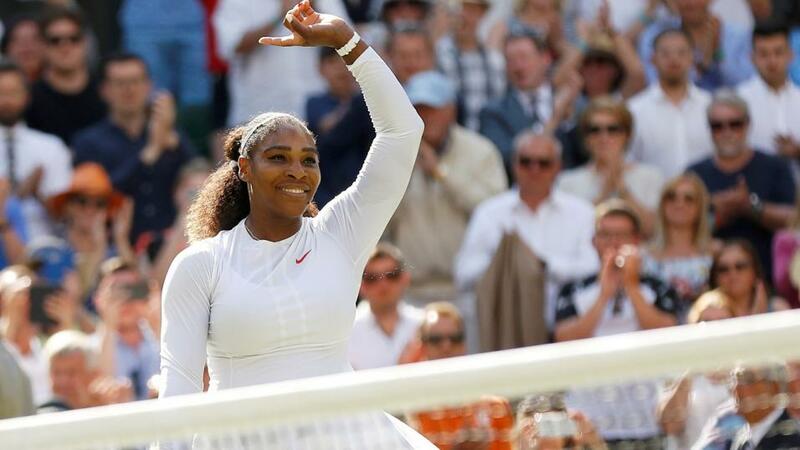 As we suspected on Thursday, Serena Williams in a Grand Slam semi-final was a bridge too far for Julia Goerges, but our outright served us well and offered a superb hedging opportunity, as was advocated prior to the semi-final. It was, in truth, a decent match-up for Serena. The tougher players she's faced so far this fortnight at Wimbledon generally fitted into the big-server mould and it would have been fascinating to see how she coped with a decent returner and someone who will make her run a lot more - perhaps Simona Halep or Jelena Ostapenko might have been a very interesting match-up indeed. Some have commented that Serena's style has been pretty one-dimensional to get to this stage, with a magnificent serve combined with a limited return game and movement, but when you serve like John Isner and have an aura around you that makes you even tougher to beat (think Manchester United when Alex Ferguson was manager) then the vast majority of the WTA Tour will struggle. Angelique Kerber is unlikely to be a different proposition in today's final. The German is a very solid player indeed - someone that will usually give you a good run for your money - and apart from in early rounds of events, where she is often vulnerable, she'll give you a 7/10 performance at least. Certainly, Kerber will not worry unduly about the player on the other side of the net, having already beaten Williams in a Grand Slam final in the Australian Open in 2016. However, Kerber is rather serve-orientated herself and this, as the head to head data described shortly will illustrate, is likely to play into Serena's hands. Williams is [1.54] to triumph this afternoon, although at what time it will happen is anyone's guess. The interrupted men's semi-final between Novak Djokovic and Rafa Nadal is scheduled to continue prior to this final, with our even-money recommendation from yesterday, Djokovic, 2-1 to the good. My model made this market price about right. Williams has a decent edge in short, medium and long term grass data, and has won six of their eight previous meetings. In addition, the American has a little better data at Wimbledon this year as well, winning 7.5% more points on serve but 5.1% fewer on return. In their head to head meetings, Kerber has made very little impression on Serena's serve, with Williams winning 69.1% of service points and holding 86.4% of the time. While Serena has been unable to make a ton of impact on return (breaking Kerber just 31.2%) it has been enough. Given this historical profile, and the high projected hold percentage figures that my model generated - Williams' figure is 78.8% - I anticipate an extremely serve-orientated clash with few breaks. However, given my perceived lack of pre-match value, it would be reckless for me to recommend a pre-match position, so my recommendation is to look at in-play entry points, if they develop, if you are going to have an interest on this match.